It has been a whole year since I first started using The Happiness Planner. At six months I wrote a review on how I was getting on, which you can find here. I have decided to write my one year review and how The Happiness Planner has helped me in more ways than I thought it would. 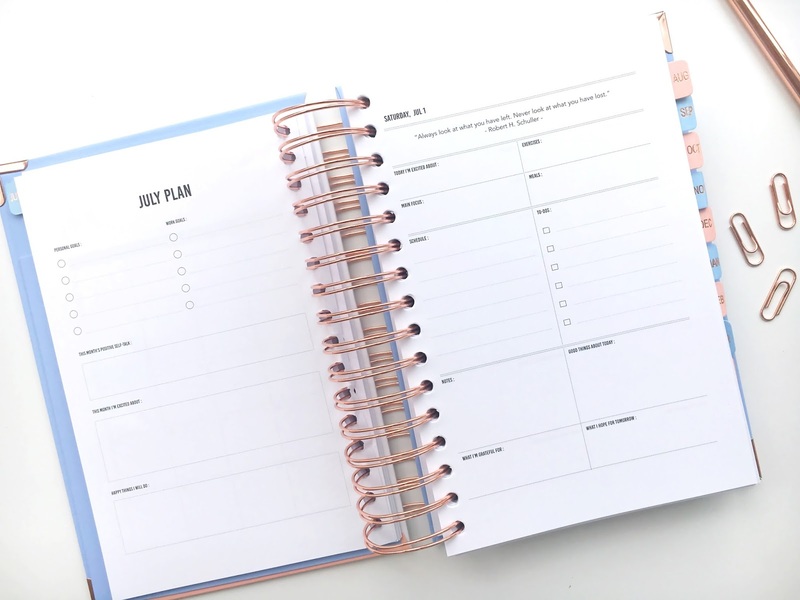 In my six month review I wrote about how I use the planner and how writing things down on a daily basis helps plan my healthy eating and allows me to reflect on my day. I have now got a new The Happiness Planner to continue using a daily planner to monitor my health and mental health. Over the past 12 months I have been able to control my diet, by using the Meal section I’ve been writing a food diary and have been able to pinpoint what food irritates my IBS, my migraines and my energy levels. This has been a good way of me planning in the morning what I will eat that day and it gives me more control and will power to stick with that plan. In the Exercise section I have been able to get into a good routine of when and how often I exercise and using the planner I am able to see that on the days I exercise are the days I am happier and healthier. Writing down that I am going to exercise gives me the motivation to do it because if I see I wrote in down and haven’t been to the gym or a class I am more inclined to go and do it because I know how amazing I will feel after. I love using this planner to jot down all the things I need to get done that day as I can be quite forgetful so its great to refer back to through the day to keep on top of what I need to get done. Again this is a way of me making sure that I get things done and a way of me feeling organised and in control of what I can do. 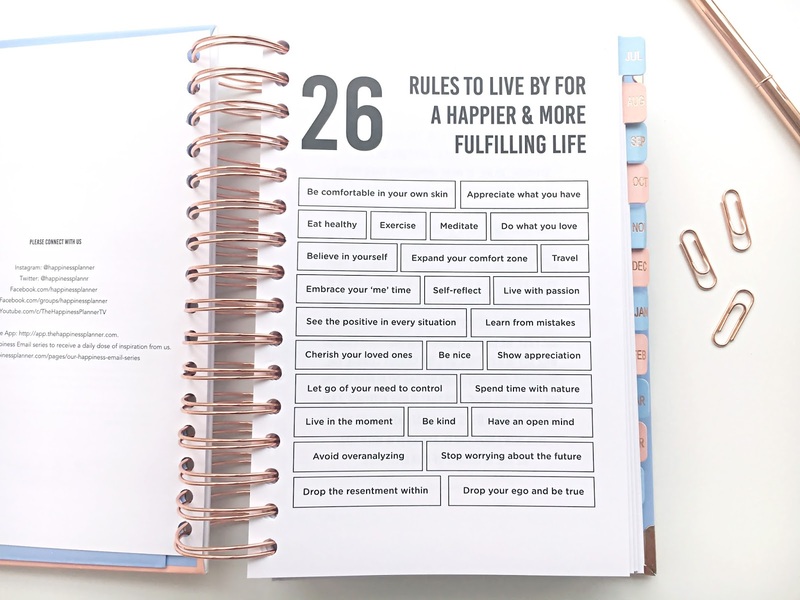 The great thing about The Happiness Planner is that I am able to of an evening or the next morning reflect on how my day was and how I am feeling. By writing down my feelings I am able to make a decision on why I feel the way I do and what I can do to improve it the next day, if I need to. As I mentioned in my 6 month review, writing things down helps clear my mind and allows me to have more control over my emotions and mental health. 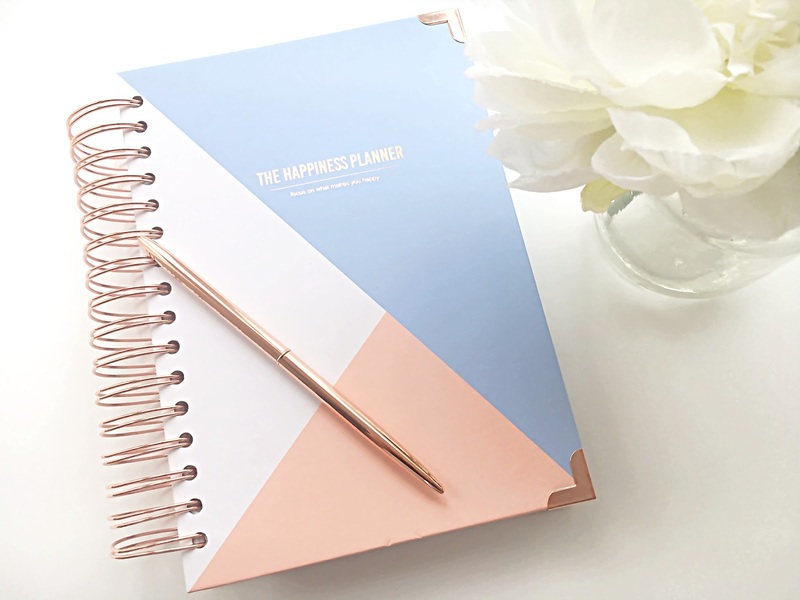 I am so excited to be starting a fresh new The Happiness Planner, I have new pages to fill out to prepare myself for a new year of happiness planning, including writing down my goals, dreams and what I want to improve and overcome. 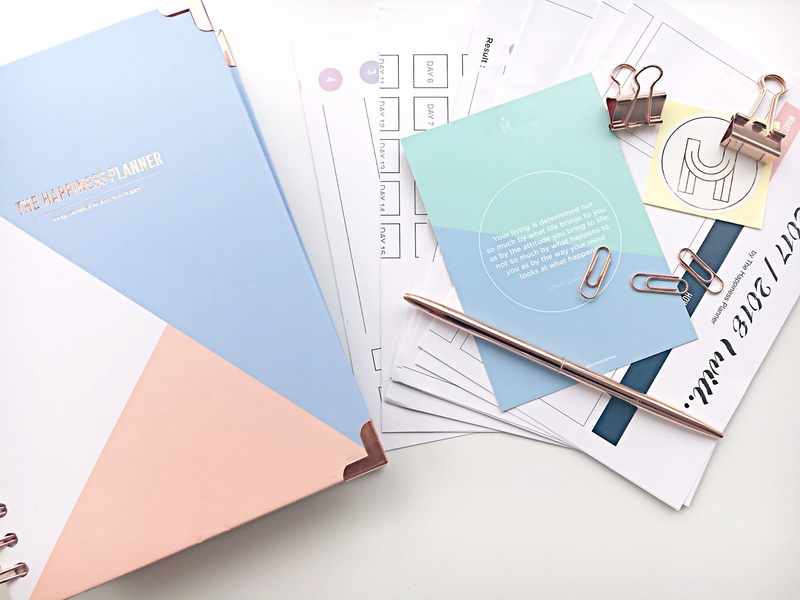 This planner works for me because it is easy to use, it is pretty and it is a little somewhere for me to write down my personal feelings and keep my life organised and happy. I have also wrote a post on My Top Tips For A Healthy Lifestyle which I wrote from what I was writing down in The Happiness Planner. I was bought The Happiness Planner for my birthday from my amazing Husband and he purchased it direct from The Happiness Planner. Have you used The Happiness Planner before? How has it helped you? Please let me know. I used it for a few months and then fell out of the habit of writing in it. But those few months were enough to ingrain the habit of noting what I was grateful for or what I was excited about. I honestly love mine, especially my new one. I’m pleased you treated yourself, enjoy 🙂 and Happy Birthday!